Gone are the fruit beers of yesterday: sugary, syrupy beverages apt to send an imbiber into diabetic shock. Today's beer consumers are now looking beyond the cloyingly sweet fruit beers that were so popular a decade or two ago for drier, more refined products. The surge of modern American fruit beers began with a modest attempt to complement the especially citrusy hops (e.g. Citra, Cascade, etc.) that so many west coast breweries have recently embraced. For example, Ballast Point's Grapefruit Sculpin IPA was one such beer that led the pack, spawning a host of dry, grapefruit-tinged IPAs from a whole host of admirers. Nothing kicks off a day of summer drinking like Green Flash's new wheat ale, made with passion fruit tea and passion fruit juice. It's a light, well-balanced, tropical treat with just a touch of Belgian yeast esters. And though you may swear this tart beer was fermented with a touch of lactobacillus, the beer's pleasant sourness comes directly from the passion fruit itself, making for a perfectly well-rounded thirst-quencher. Best of all, it's now available in cans, making the beer that much more transportable to your choice of waterfront locale. Quite a few breweries have thrown their hat into the blood orange ring, doing their best to blend the intense, citrusy fruit with similar hop flavors. But few do it like Elysian, the Seattle brewery perhaps best known for its stellar west coast IPAs. Superfuzz doesn't have the same bitter bite of Space Dust or The Immortal (two of Elysian's flagship hoppy brews), but the German Northern Brewer and Cascade hops used are certainly present, balancing the Citra and Amarillo that echo the citrus of the oranges. Berliner Weisse is a cloudy, tart (some might say sour), low-ABV German beer perfect for summertime sipping. At 4.5% ABV, Dogfish Head's take on the style is a touch stronger than its European predecessors (traditionally around 3%), but their delicious Festina Pêche is still as delicate as beers come, with plenty of peach woven into its aroma and flavor without any cloying sweetness (the yeast and lactic cultures eat fruit sugar so you don't have to). It's another homerun from a brewery specifically known for blurring the lines between liquid and culinary art. For those who do like a hint of sugar in their fruit beers, Michigan's Founders Brewing does it with class and elegance. The perfect balance of sweet and tart, their Rübæus is easily the greatest raspberry beer ever made by an American brewery. Even more shocking than its bright red hue is its authentic raspberry flavor, thanks to the many fresh raspberries used throughout the brewing process. 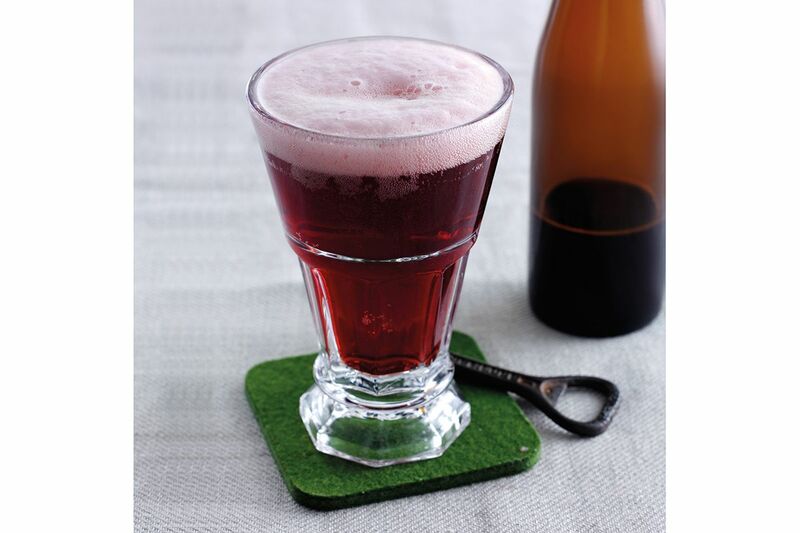 Whether in bottles or cans, the resulting liquid cleanses the palate and refreshes just like raspberry sorbet. Be careful, though: the tremendous flavor of this irresistible brew sneakily masks a 5.7% ABV – it's seriously deceptive! While you're on that residual sugar kick, be sure to give Victory's Cage Radler a try. The Pennsylvania brewery is known for interpreting German lagers incredibly well, and this crisp brew is no exception. Traditionally a mixture of equal parts beer and sparkling lemonade, the radler is welcomed to the 21st century with a drier, more balanced approach, but not without a bit of sweetness and lemony zest. It's the perfect introductory beer for a wine drinker, or for a beer drinker looking for a change of pace. Ballast Point brews the tastiest, most drinkable mango beer ever to grace an aluminum can. As you put the container to your lips, prepare for a wave of mango fruit and citrusy hop aroma to wash over you. On the palate, expect more mango and grapefruit, and an especially light crisp mouthfeel (surely thanks, in part, to a very low ABV of 3.8%). This magical beverage goes equally well on a hot summer day with ceviche or vanilla ice cream (though probably not both of them in the same dish). The final beer on this list is as difficult to come by as it is worth seeking out. Currently available only at their upstate brewery and at a few rare locations in New York City, Fruition is Ommegang's first fruit beer release. It starts its life as the brewery's widely distributed Belgian-style wheat ale, Witte, and is then fermented with mango, kiwi, and passion fruit juices to give the beer a tart, tropical fruity edge. Best of all, dry-hopping adds citrus character and further dries the beer out, resulting in what might just be the ultimate summertime sipping beer. Why Isn't Rolling Rock as Good as It Once Was? What Are the Best Beers for Cold Weather? Will These Little Bottle Caps Save Your Beer? What's up with the Lime in My Corona Bottle? Is There Such a Thing as a Good Mexican Lager?